Do you feel like walking in a stunning natural setting and taking wonderful pictures? 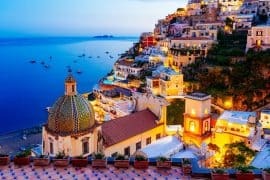 Well, you need to spend 2 days in Cinque Terre! 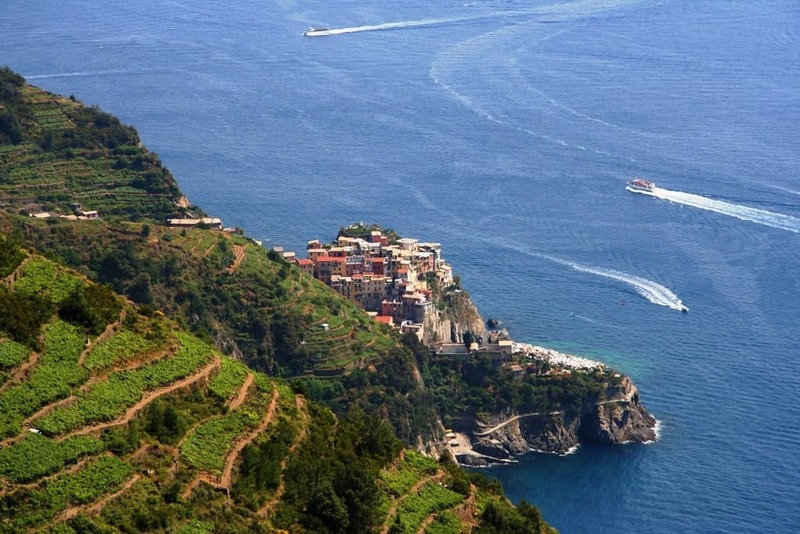 Let’s discover how to plan the perfect Cinque Terre hiking itinerary! 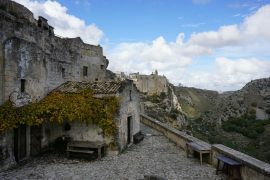 (Ifyou don’t feel like hiking you can follow the same itinerary and explore the towns by train or by boat). 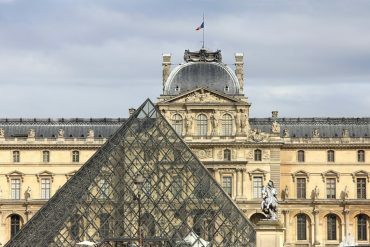 April or September – to enjoy mild and sunny weather and to avoid the crowds of tourists. If you go there during summer, stick to the classical “beach life”, because trails and villages will be too crowded to be fully enjoyed. One weekend is enough for visiting Cinque Terre. The perfect solution is visiting Genova or La Spezia for 2 or 3 days, then spend the weekend trekking in the Cinque Terre area. La Spezia is nearer to the area, so it’s an obvious solution. Moreover, it gives you the chance to visit Porto Venere too, which is another popular coastal village. 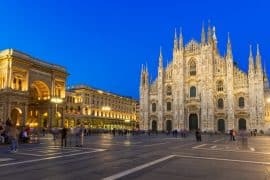 On the other hand, Genova is really well served and connected and it is a picturesque city hosting the largest Italian Aquarium with more than 500 different species, which makes it an ideal place for kids. 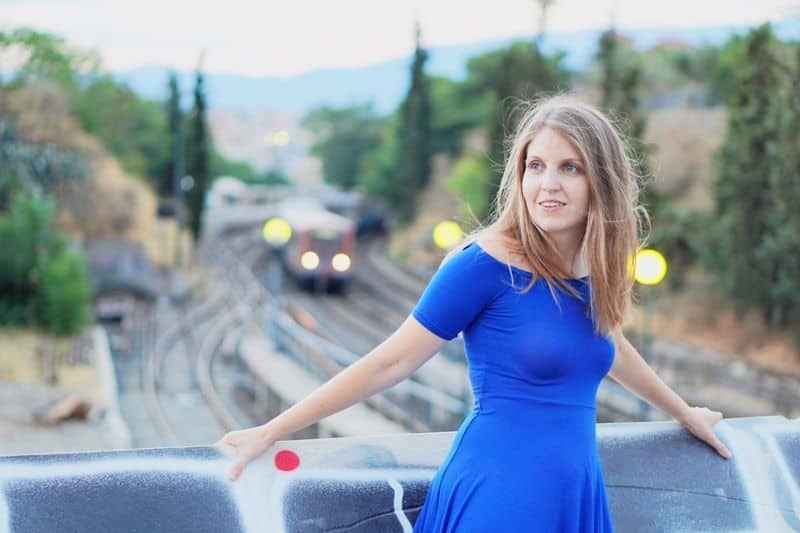 Depart from Genova or La Spezia to reach Monterosso by train (1h10 from Genova and 22 minutes from La Spezia. For more information about timetables and tickets visit Trenitalia. 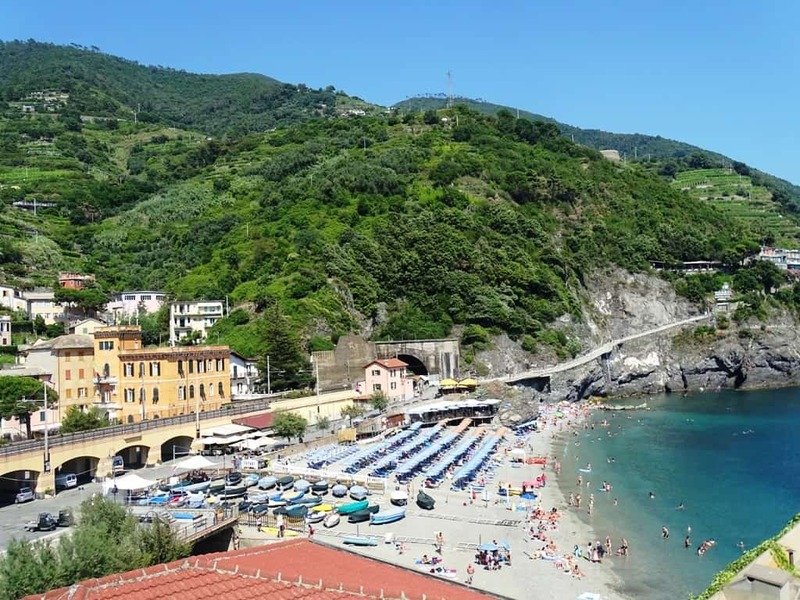 Once you have arrived to the train station in Monterosso, just follow the waterfront on your left to reach Fegina beach and follow the signs to reach the departure point of the Blue Trail. 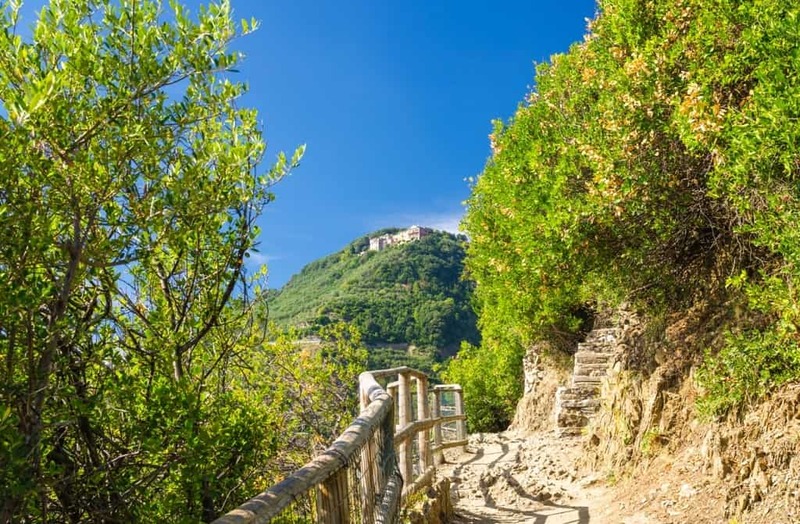 Take the first part of the trail to reach Vernazza. It is an ascent of medium difficulty, taking about 1h45 (3,5 Km). The trail starts with a steep stairway among vineyards to become a flat path overlooking the sea. Reach Vernazza at lunchtime and relax! Early in the afternoon, you can rent a “gozzo”, which is a typical fishermen’s boat to take a short trip and enjoy the view of the coast from the sea. You can rent a boat for a couple of hours or for the entire afternoon, just check some rental services like this one here. Later in the afternoon, you can get back to the Blue Trail to reach Corniglia. 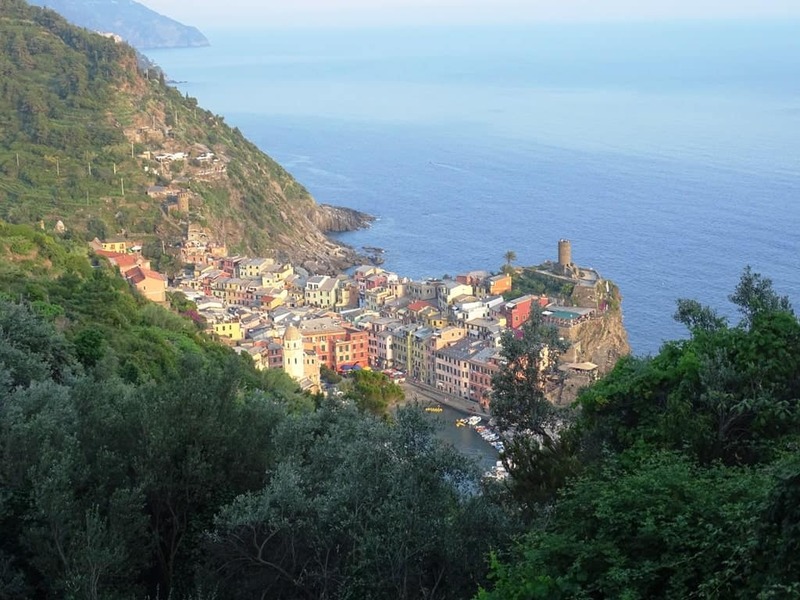 This second part of the trail begins in the middle of Vernazza village and goes up along the ancient fortifications. It is an ascent of medium difficulty taking about 1h30 (4 Km). From the trail, you can admire Guvano beach, which you have probably seen from the sea a few hours before. Arrival at Corniglia before dinner. Here you can rest in a Bed & Breakfast and enjoy a typical dinner. 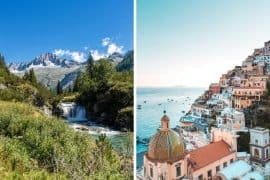 You might be interested in: The best Italian riviera towns to visit. 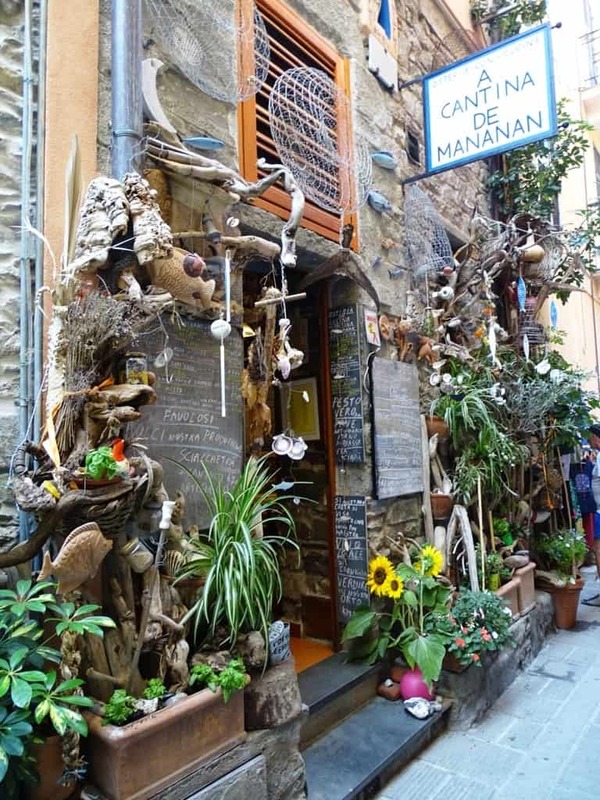 Depart in the morning to reach Manarola via the Blue Trail. This portion of the path begins close to San Pietro church and runs parallel to the tracks. 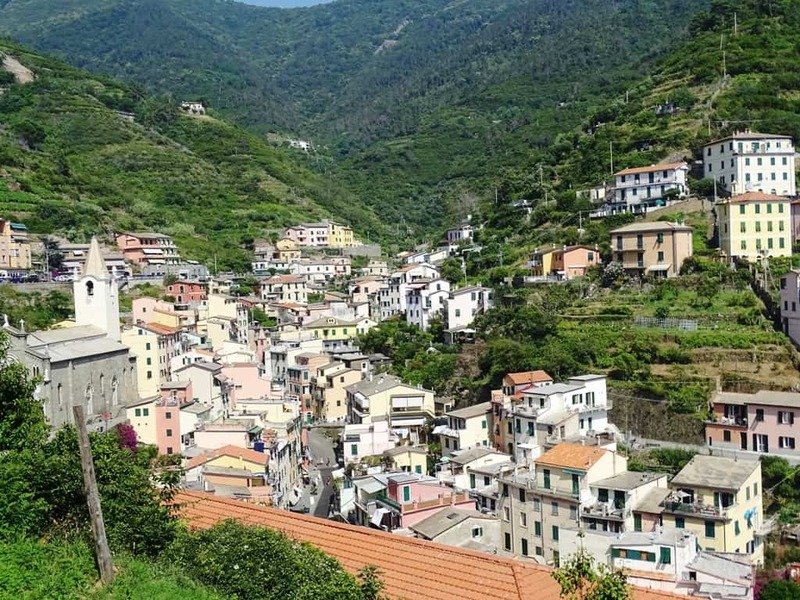 Since Corniglia is located in an elevated position, the trail is always flat and the walk is easy, taking just 1 hour (2 Km). 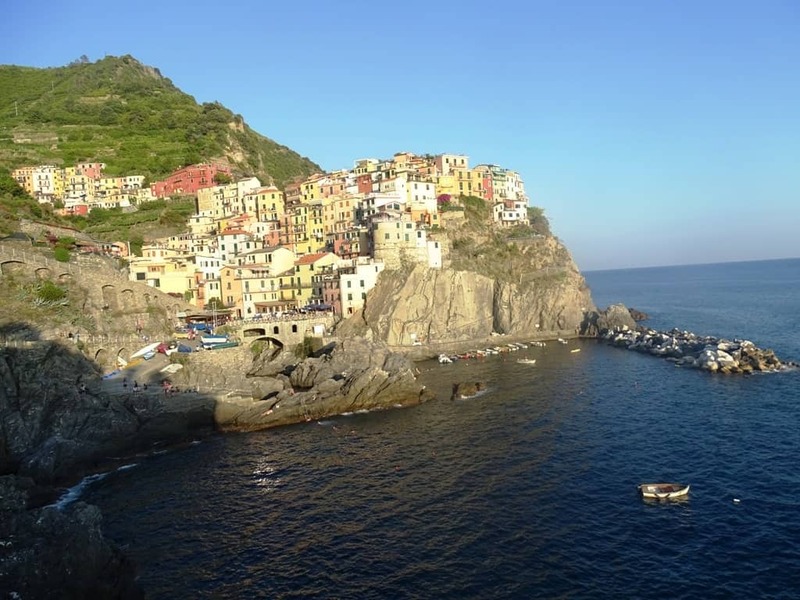 After this short walk, you’ll get to Manarola’s waterfront. 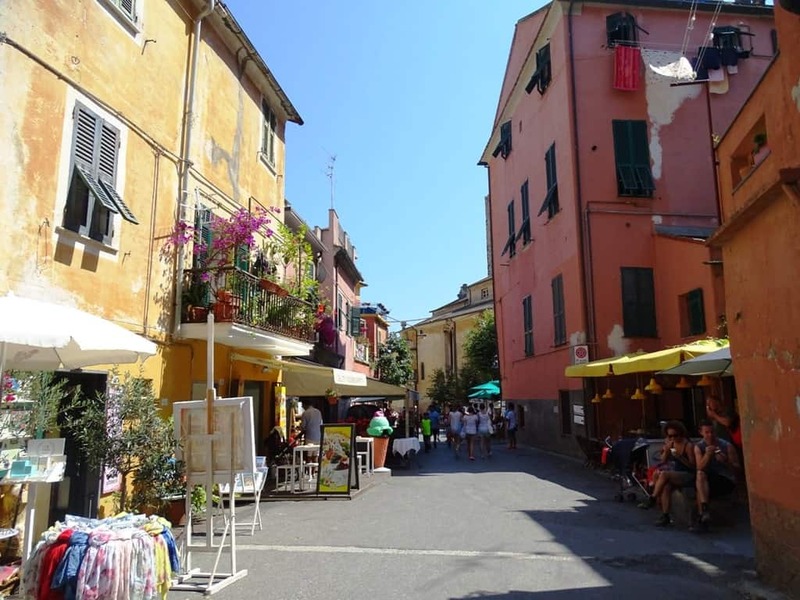 Walk around the village to explore its “carrugi” (narrow alleys) and take some pictures, then have a break at a local restaurant. After lunch, you can get back to the Blue Trail for the last portion of the path leading to Riomaggiore. 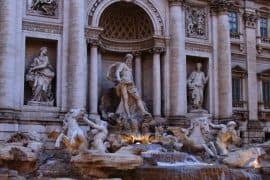 This is the easiest part of the trail and also the most picturesque one, which is often referred to as the “Love Trail” for its beautiful setting. It just takes 30 minutes and it is 1,5 Km long. At the moment, this part of the trail is closed due to a landslide, so that you’d better ask if it has been reopened and rebuilt before going there. 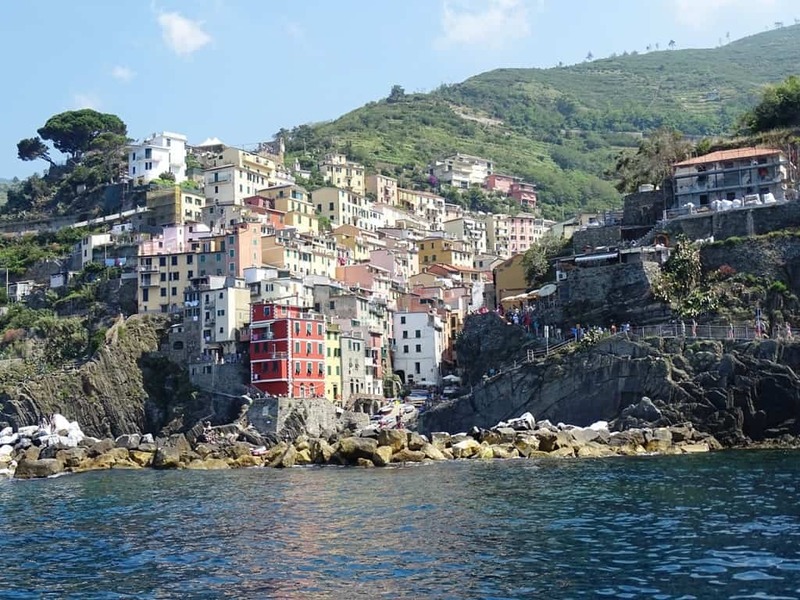 In the afternoon, you can either sun-bathe and relax on the beach or explore Riomaggiore and its particular conformation due its narrow strip of land caught between the mountain and the sea. Later in the afternoon, you can catch a train in Riomaggiore and get back to Genova or La Spezia. 1-Hour Snorkeling Tour in Paraggi Bay, Portofino. Dive in the crystal clear blue waters and admire a seabed rich in fauna and flora. 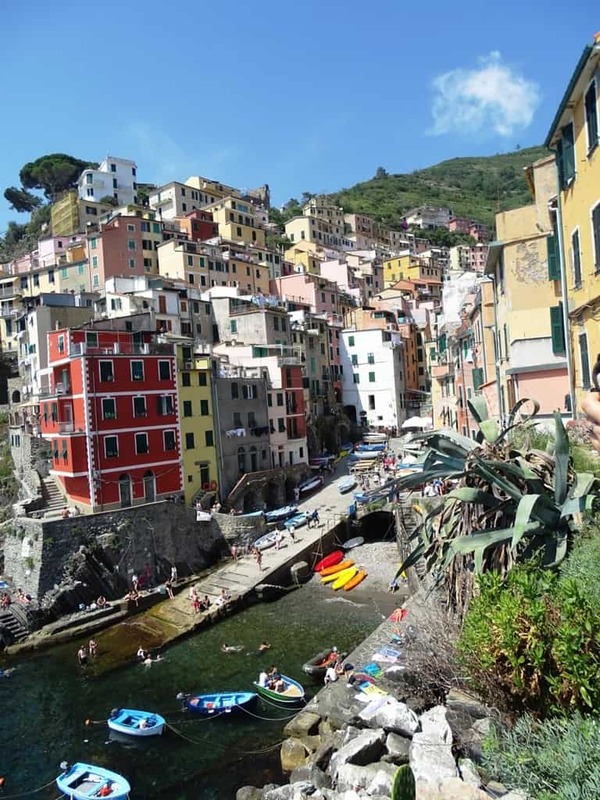 Portofino Kayak + Snorkeling Tour + Natural Wine Tasting. Experience the marine reserve kayaking and snorkeling and taste some local wine and food. 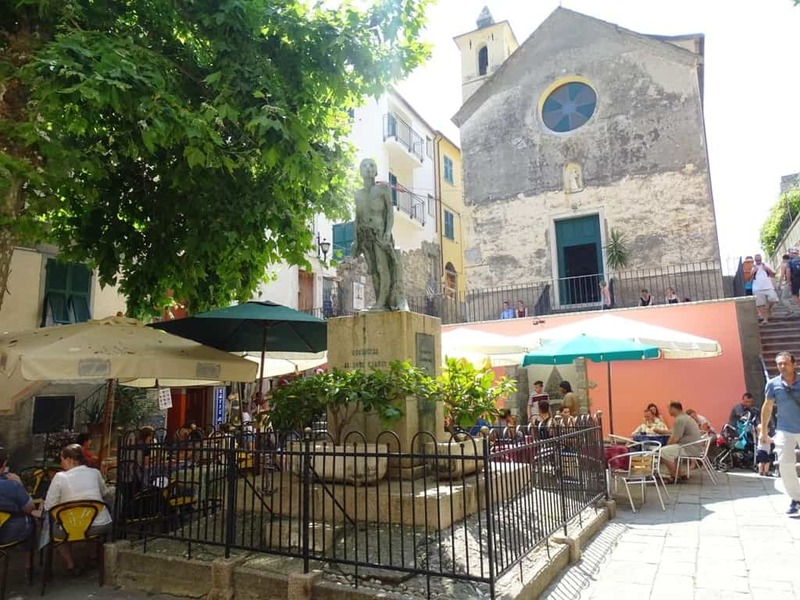 B&B da Beppe is a charming bed and breakfast in the heart of the town. Rooms are comfortable, if maybe a little small, but come equipped with kettle and coffee/tea making facilities, an ensuite bathroom, and views across the town and sea. Owner Beppe gets rave reviews from past travellers thanks to his warm and engaging personality. In Vernazza: enjoy a light and quick lunch with sandwiches, bruschetta, pizza or light local dishes. Don’t forget to taste local ice cream, which is a typical Italian snack for any time of the day! 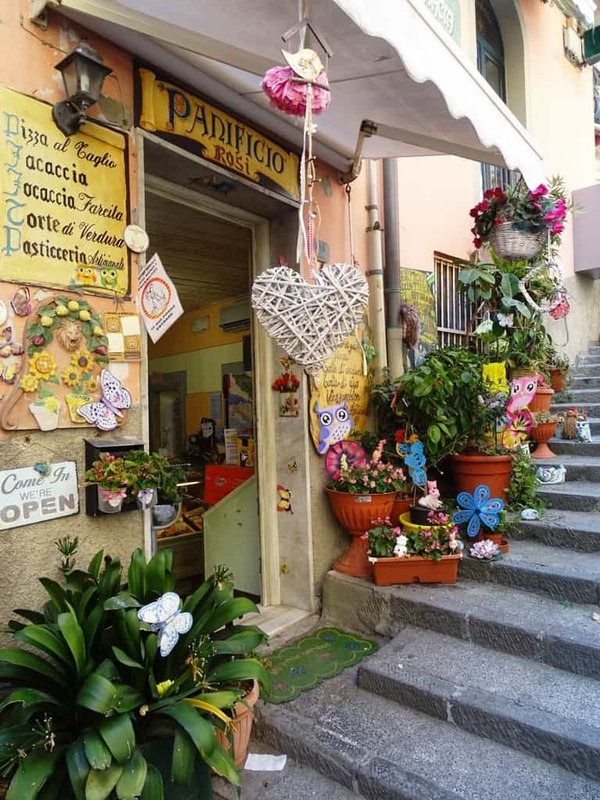 In Corniglia: try a homemade dinner based on local ingredients and traditional recipes. Taste for example “pasta al pesto” or marinated anchovies. In Riomaggiore: enjoy an afternoon snack with ice cream, focaccia, farinata (a sort of focaccia made with chickpea flour) or canestrelli (local biscuits). In winter there can be frequent landslides due to abundant rain, so that in spring there are often many maintenance worksites on the Blue Trail. Ask for information before planning your trip, to make sure every path is open and safe. Use the app Cinque Terre Hiking Guide to monitor the situation. To access the Blue Trail, you have to pay a fee of about 5 euros (prices vary according to the period of the year). In the future, the Blue Trail might be accessible for a limited number of people at a time to prevent overcrowding and damages, especially in summer. 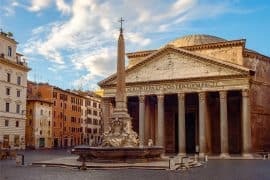 Once again, check well before planning your trip. 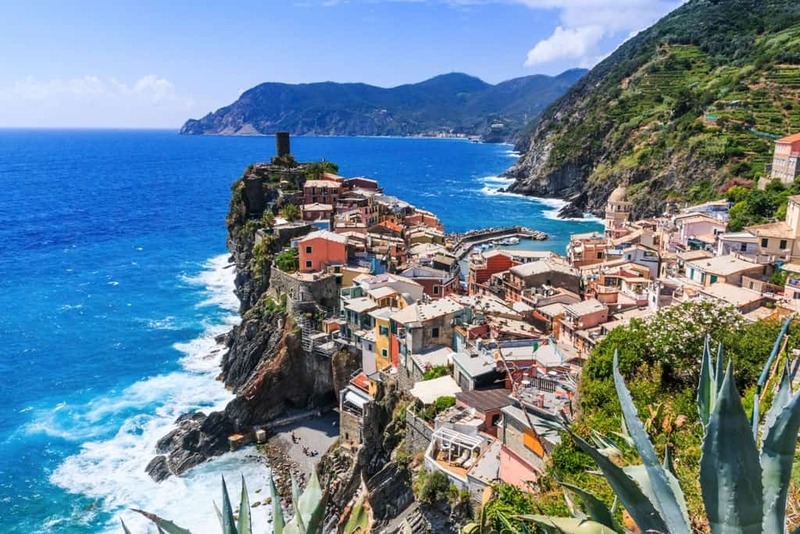 Consider the Cinque Terre Card, that is a prepaid card including access to the Blue Trail, pullman transfers, guided visits and educational activities. For more information click here. Wear sturdy shoes for your trekking and don’t forget you are in the mountains and the terrain is rough and slippery. In some portions of the Blue Trail there are no barriers on the cliff, so you might experience some vertigo. 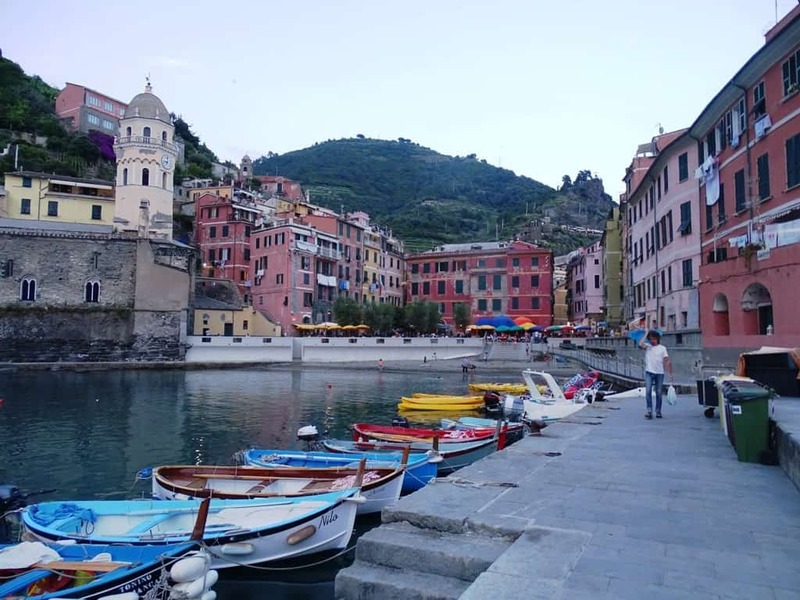 Spending just one day in Cinque Terre? 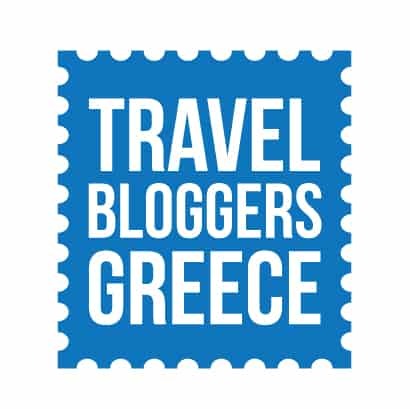 Check my post here. 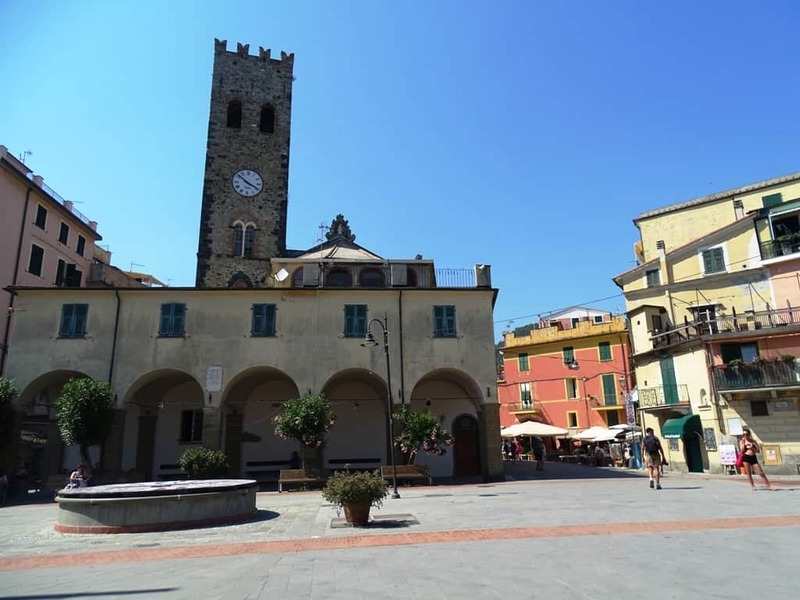 During your 2 days in Cinque Terre you have surely enjoyed outdoor activities and nature and, if the weather is warm enough, you can spend some more days in one of the villages relaxing on the beach!